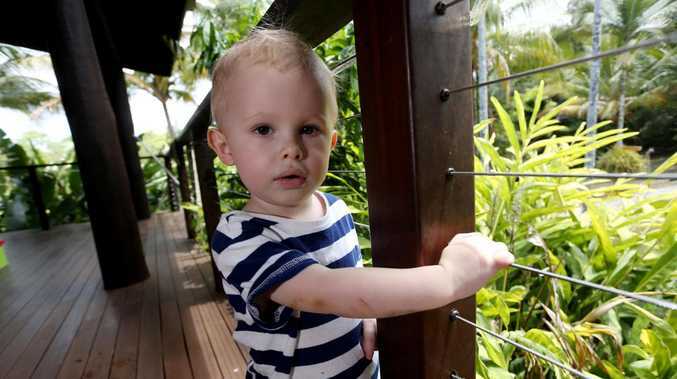 Naish Rutland, 22-months, was almost eaten by a python on his veranda. Picture: Stewart McLean. AMANDA Rutland took one look at her daughter's face and knew something was wrong. Naish, 22 months, was playing with his three-year-old sister Evie-Blue on the veranda of the family home in far north Queensland. Ms Rutland raced around the corner when she was unable to see her son and she saw her daughter was backing away, staring at her. Around the corner, she found a 4.2 metre python wrapped around her infant son. 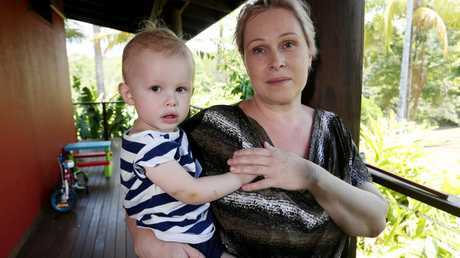 Amanda Rutland's 22 month old son Naish Dobson was attacked by a large scrub python on the deck of their rural home at Julatten. Picture: Stewart McLean. 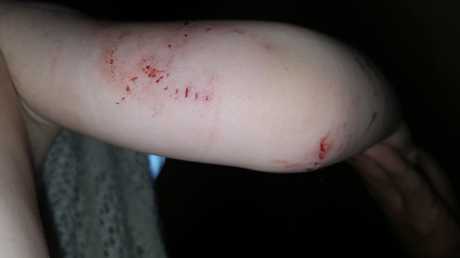 The snake had wrapped itself around Naish three times and bitten his right arm. Unable to get the snake away from her son, Ms Rutland called for her father, Ron Rutland, as the snake began to constrict. 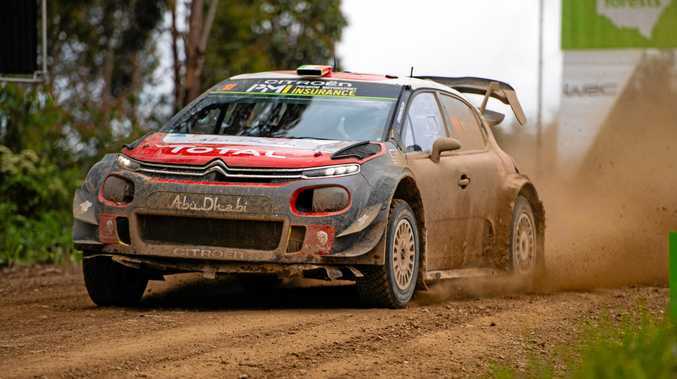 "I screamed out for my father and he came running out," Ms Rutland said. "He was screaming for a knife." 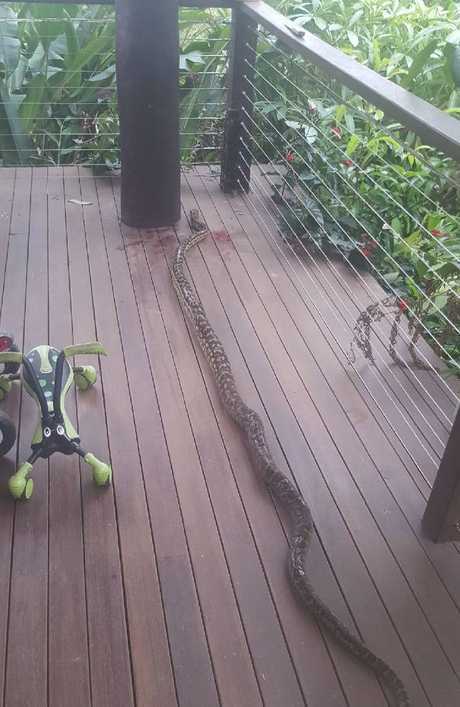 4.2m long scrub python that attacked Naish Dobson on the veranda of his Julatten home. Picture: Supplied. Mr Rutland had to stab the snake, a scrub python, down the spine so it would release Naish. "It started to let go, then I grabbed my son, and it started to wrap around my father - so he had to kill it," Ms Rutland said. "I had to kill the snake to get the snake off," Mr Rutland said. 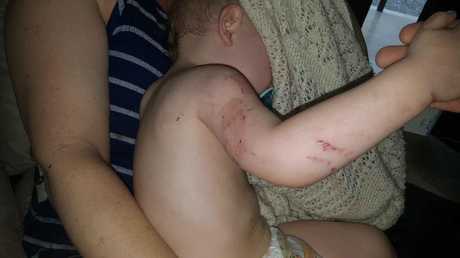 Naish was taken to Mossman Hospital and then Cairns Hospital for the snake bites and bruising. The snake died from its injuries. The Scrub Pythons is Australia's longest snake, some grow up to seven metres in length. Although not poisonous, Scrub Pythons are known to be "grumpy", they prefer to be left alone and will only bite when provoked. Scrub Pythons have been known to prey on full grown wallabies to snack on. Ms Rutland believes the python that attacked her son had been around the property for about 18 months. She also believes the snake had been watching her son for a while now, waiting for the perfect opportunity to strike, because Naish always plays in the very spot where he was attacked on the veranda. The Cairns Post said experts believe if Ms Rutland hadn't intervened, the snake would have eaten her son.